In May we saw a flood of student work, as we've come to look forward to at this time of year. It's always exciting to see what new graduates are getting up to and we printed some really amazing (if sometimes down-to-the-wire!) projects this time around. Congratulations to all! Mixed in with the degree show programmes and final projects were some handsome catalogues, portfolios and one very special Mother's Day gift. Scroll through some of the standouts below. 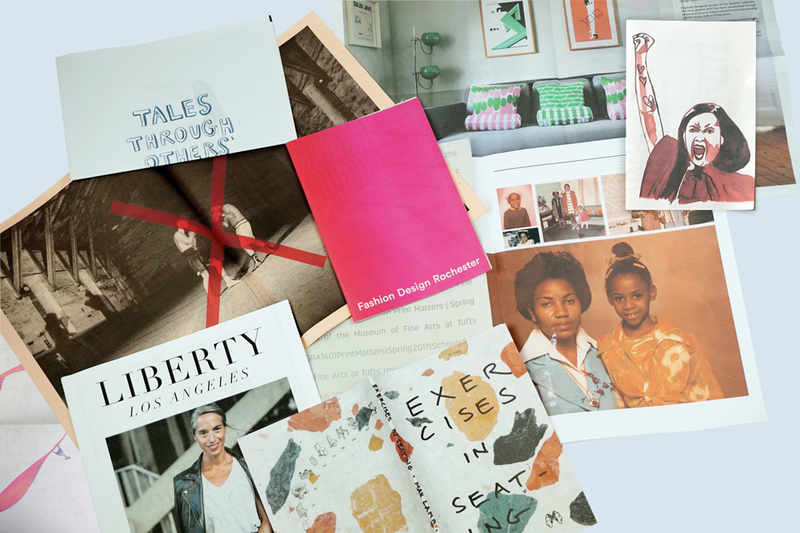 First up is a jump back in time from Milton Campbell (of Brokin nglish Design), who collected childhood photos and memories from his sibling for a special Mother's Day gift. "I hope it'll brighten her day with our funny stories," he says of the newspaper all about his mum, Millicent. "And show appreciation for her hard work and love through all the years!" Liberty is a podcast and platform celebrating entrepreneurial women of all ages. "It seems like the message that’s out there is: pursuing your dreams is for the under 35 crowd," says Liberty founder Nada Jones. "I wanted to show women that this was simply NOT the case." 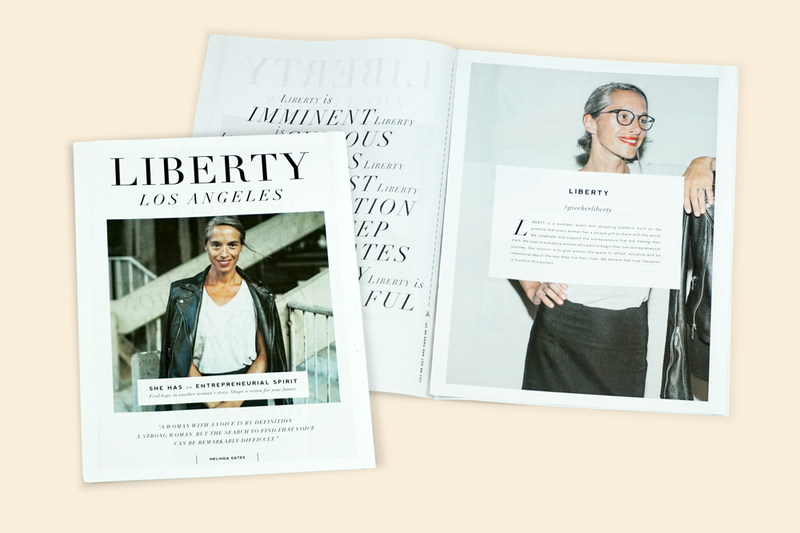 Liberty used a newspaper, designed by Made by Canopy, to announce their new partnership with WeWork and promote three live podcast events happening last month. "We wanted to break through the noise,"says Jones. "Something tangible and beautiful would do just that!" 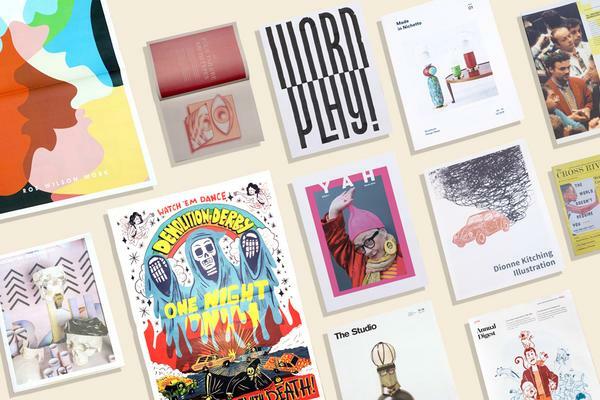 Bristol-based illustrator Sam Rowe sent his newspaper, showcasing 20 pages of recent work for clients like The New York Times and NPR, to art directors he wants to keep in touch with. "I’ve sent physical mailers before but I wanted this to be heartfelt and honest above anything else," Rowe tell us. "I wanted a lovely object, as well as an informative one." To make the promo feel "self-referential and less formal" he included a reproduction of the plan he drew for the mailer in his sketchbook, plus a dot grid for a hand-written note. "Lovely, low-tech and tactile," he says of the final piece. "It turned out even better than I hoped." 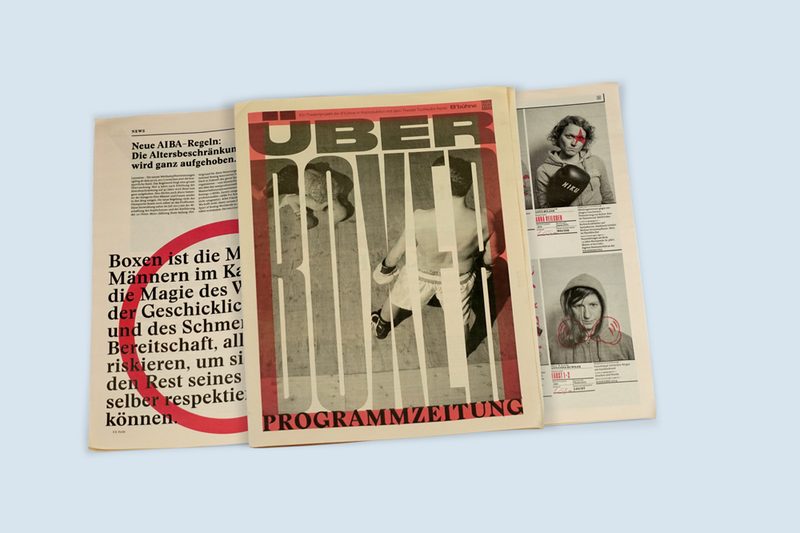 For a production of Über Boxer at Theater Tuchlaube Aarau, design agency Zeitgeist printed this knockout programme. "Theater doesn't start when the curtain opens," says Zeitgeist, but as soon as the audience arrives. That's why it was important for this programme to evoke "the mood of a real boxing event decades ago." The newspaper not only introduces the plot and cast, but is referenced itself during the play. 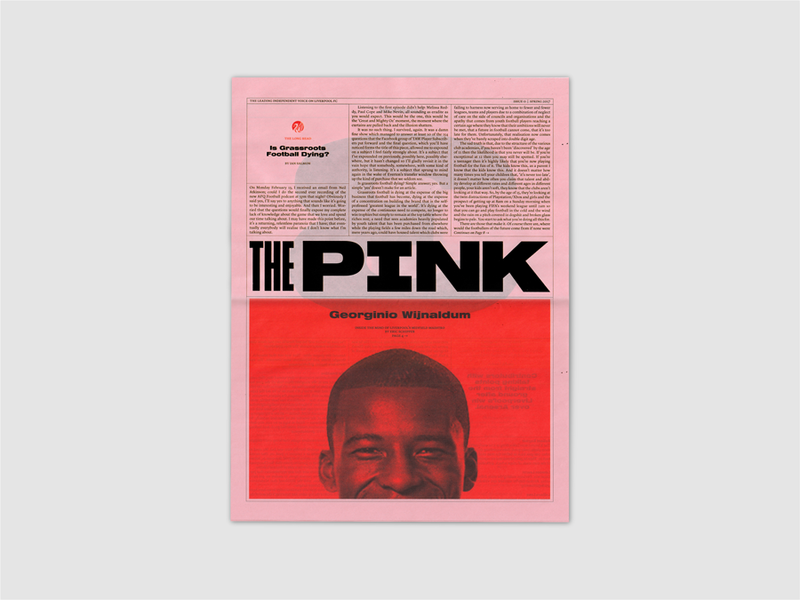 Fans of Merseyside's defunct Football Echo (known colloquially as "The Pink" after its pink newsprint) rejoice: the much-loved publication, which recapped the past weekend’s football, is back – sort of. This self-initiated project from designer Joel Smith, originally from Merseyside himself, reimagines the format with new content written by fans. "The biggest problem I came across was printing on what appeared to be pink newsprint," says Smith. 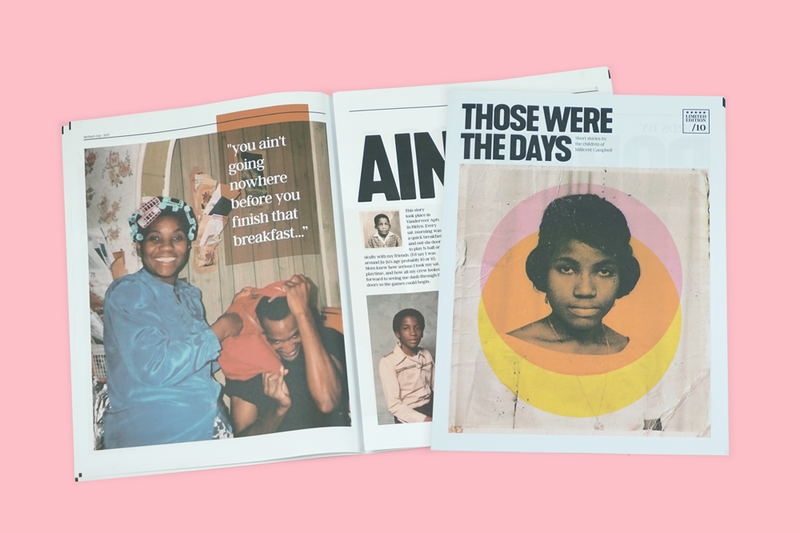 "As the salmon newsprint Newspaper Club offers wasn't quite the right colour, I printed a pink background on a broadsheet and trimmed it down to give a full bleed effect." From her studio in Glasgow, Laura Spring transforms print designs into bold accessories, homewares and stationery. 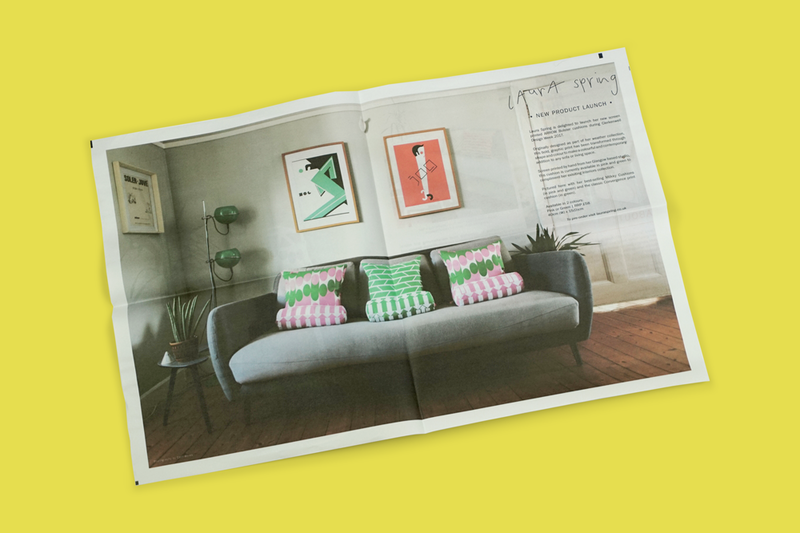 Her products made for a lively display at Clerkenwell Design Week this year, and she also created a newspaper for the occasion. "It's always good to have some nice printed material for people to take away so they remember your company," says Spring. "We wanted to try something different with this show. 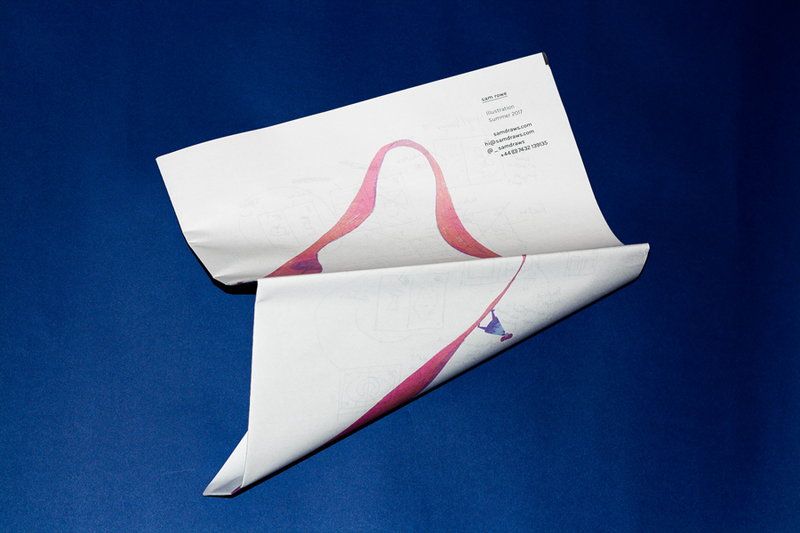 We really like the texture of newspaper and it offered us great value and plenty of space to present our work." Shout out to studio assistant Cecilia Stamp for the design! 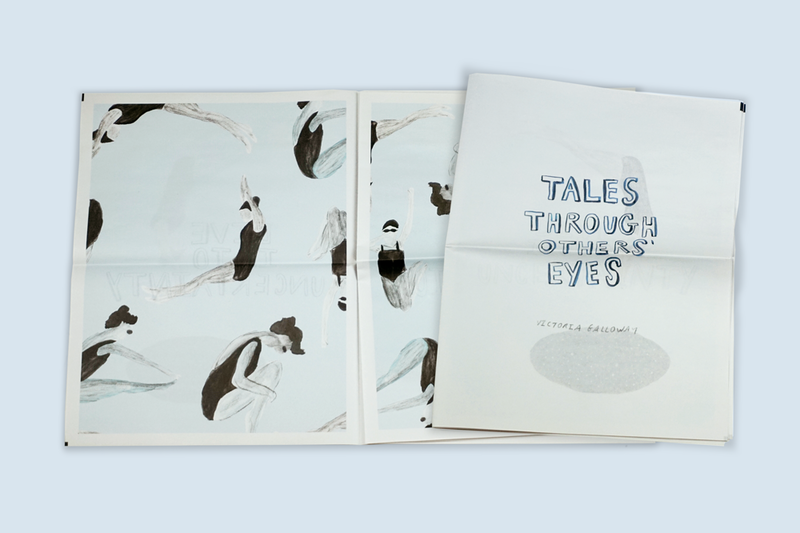 We'd like to dive into the pages of illustrator Victoria Galloway's dreamy newspaper. Inspired by childhood adventures, Tales Through Others' Eyes is a journey through a world of swimmers and stargazers. "Using a newspaper helped me develop a simple idea into a story," says Galloway, a student at Ulster University in Northern Ireland. "I was able to experiment with layouts and see my tiny drawings on a much bigger scale." 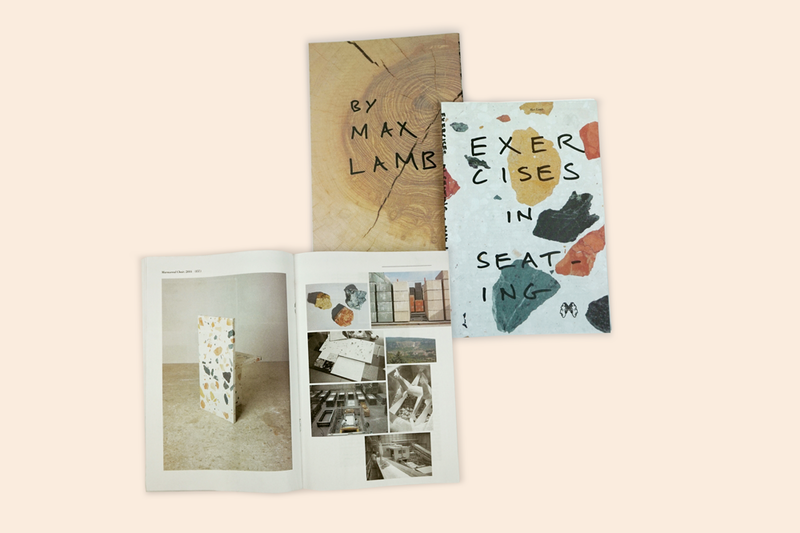 We printed the first edition of Max Lamb's Exercises in Seating, published by Dent De Leone, back in 2015. It's a catalogue of varied chair designs that Lamb began creating in 2006: "Seating has been an outlet for me for experimenting with ideas, experimenting with materials, experimenting with processes," he says. Now there's a new edition, first available at this year's Offprint London publishing fair, and soon to be popping up in independent bookshops. Print Matters 17 is a project by students enrolled in Print Matters at the School of the Museum of Fine Arts at Tufts University. 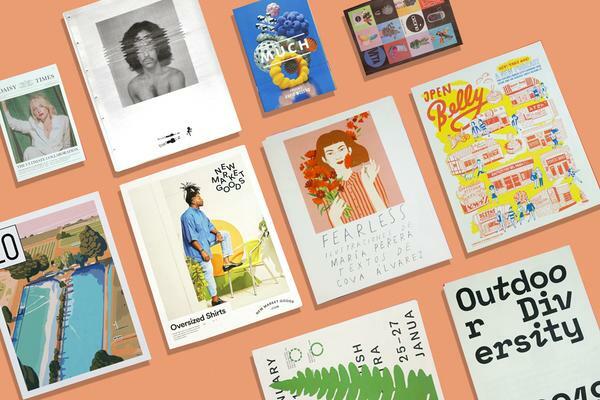 The course responds to the relevance of printing in the internet age and gives students a chance to explore modes of print production such as risograph and print-on-demand. For their final project, the students made a newspaper documenting repeat patterns designed for production with Print All Over Me. Featuring work by Olivia Carye-Hallstein, Conor Ward, Echo Dong, Shannon Ehmsen, Rachel Orlang, Antonia Osborne and Beca Piascik. "Designing for newspaper production allows students to be responsible for budget, design layout, and distribution," says course leader Graham McDougal. "This requires a collaborative studio and learning how page sequencing may be informed by the characteristics of the format such as centerfold or material considerations such as ink saturation and show-through." 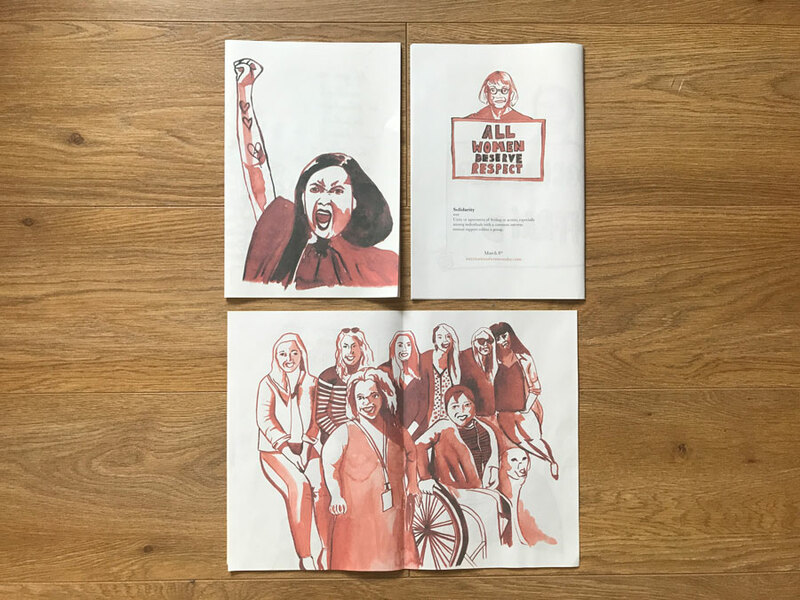 As part of her final year project at Cardiff Metropolitan University, illustration student Becky Watts created a two-part zine promoting International Women's Day and gender equality. "I wanted to create a project I was proud to put into the world," says Watts. 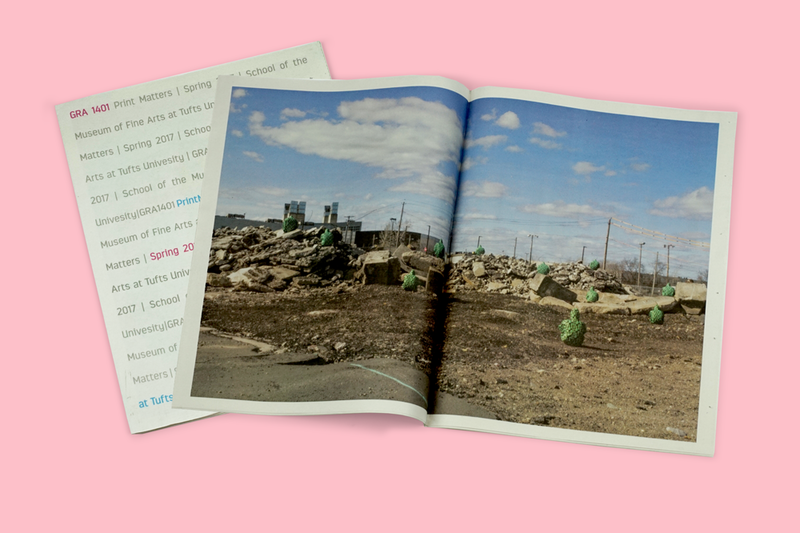 "This zine is for the girls who feel oppressed – it's something to look to and to let them know they are not alone. That feminism is about standing in solidarity and protesting what is right." 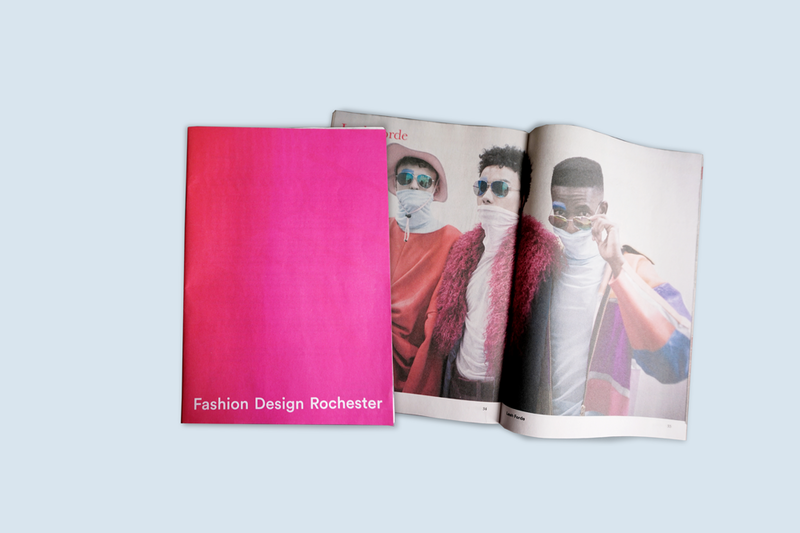 We love printing the end-of-year magazine for Fashion Design at UCA Rochester – this year marks 5 issues! It's a mix of illustrative work and photographs of collections the students have designed, and there's lots of really impressive work this year. The colour-graded cover is influenced by UCA branding, and the piece is used as marketing tool for the course. “Our design has remained pretty consistent over the past five years, becoming more refined as the years have gone on," Art Director Brendan Geoghegan tells us. 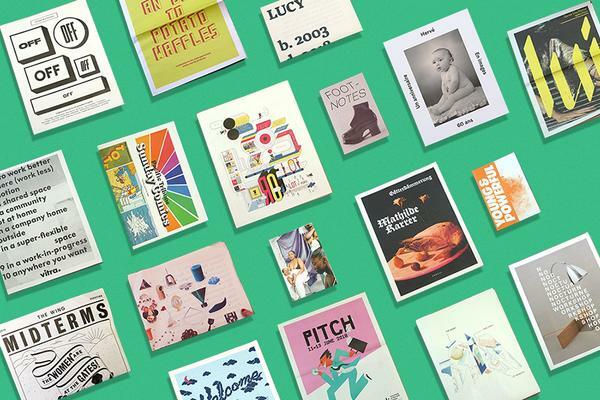 "Despite slight layout changes here and there, we've kept coming back to the same mini newspaper format, as it is perfect size to be handed out at our launch and read on the go."